Khalid was at Constitution Club to speak at an event called 'Freedom From Fear'. New Delhi: Jawaharlal Nehru University student leader Umar Khalid was shot at outside the Constitution Club today, with eyewitnesses saying that one bullet was fired. Nobody was injured in the incident. 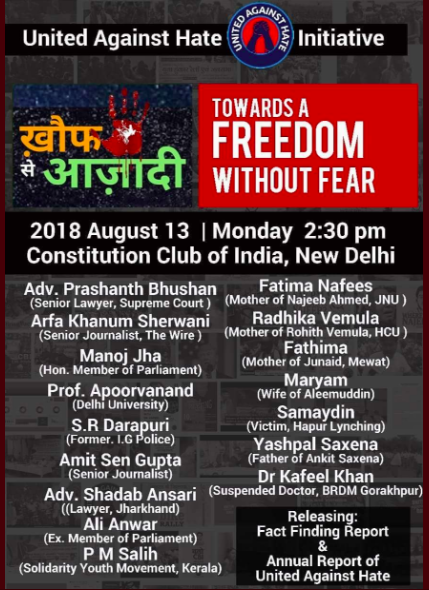 Khalid was at Constitution Club to speak at an event called ‘Freedom From Fear’, which was also going to be addressed by Radhika Vemula, family members of lynching victims, The Wire journalist Arfa Khanum Sherwani, Hapur lynching survivor Samaydin and others. 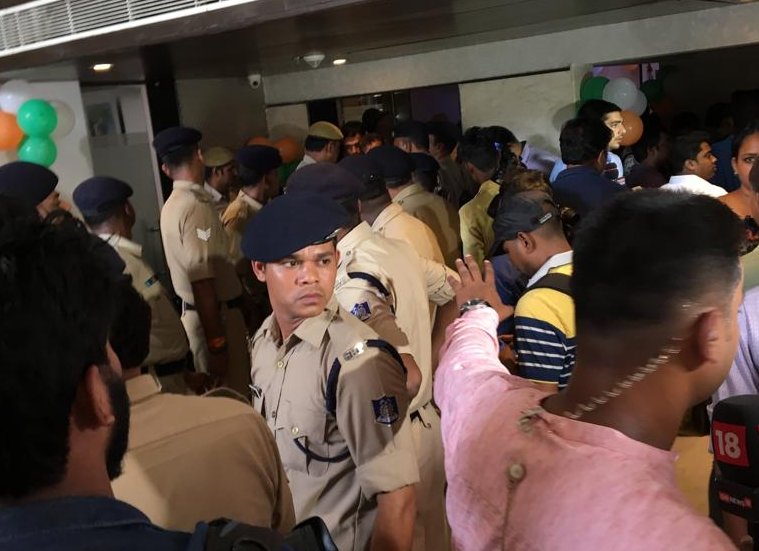 A bullet was fired at him just as he was about to enter the Constitution Club premises. The programme for the event. Constitution Club is in central Delhi, an area that has been designated a high-security zone in the run-up to Independence Day. An eyewitness told ANI that the bullet was fired by a man in a white shirt and narrowly missed Khalid. When people tried to catch him, the pistol slipped from his hand and he fled, the eyewitness said. Others also said the man in question had long hair. A large number of students, leaders and others condemned the attack on social media. Shocking and highly condemnable: a guy attacked Umar Khalid from behind and tried to shoot him in Delhi. This is the direct result of hatred whipped up by Republic TV & other hate media. I spoke to Umar. He’s okay, but we should be very very worried about his safety. If this doesn’t chill your spine what will? If you choose silence now when will you speak? If this is not wrong, what is wrong? Khalid was one of the JNU students charged with sedition and arrested in February last year after an event on Afzal Guru. The government and police were widely criticised for slapping sedition charges on the students.